Returns are allowed if UntilGone.com receives your request within 21 calendar days from your order ship date. All returns must be received complete (all original packaging and contents) by UntilGone.com within 14 calendar days after the return is approved. To request a return for a defective item, please Contact Us with a description of the damage/defect and photos of the product. We will do our best to respond to your email request promptly. Generally, we are not able to approve a return for a non-defective item (this includes refurbished), and some items are not returnable in any case, due to their nature. This is noted on the product page (for example, Junk boxes and personal care items are not returnable or refundable). However, there are some exceptions. Please do not open the product if you do not plan to keep the item you purchased. If you decide to return an opened or refurbished product, we typically cannot take it back. If you choose to return a product that is not defective (change of mind or buyer’s remorse), we do not credit back shipping charges paid on the original order and do not pay or reimburse for any return shipping back to us. 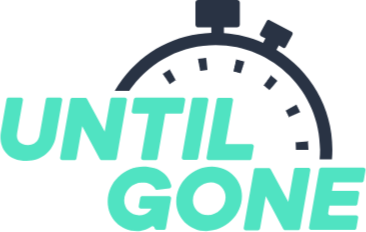 What is the UntilGone.com 30 Day Warranty? What does the UntilGone.com Warranty cover?